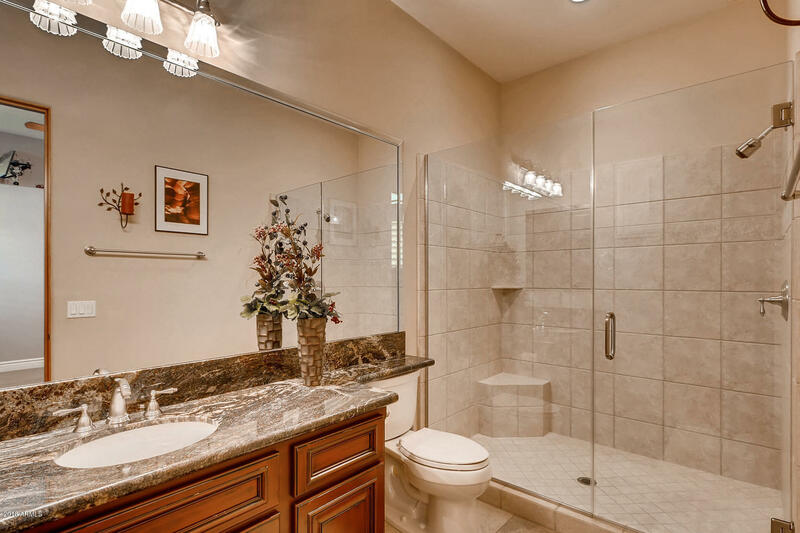 Seller says to submit all offers for consideration. 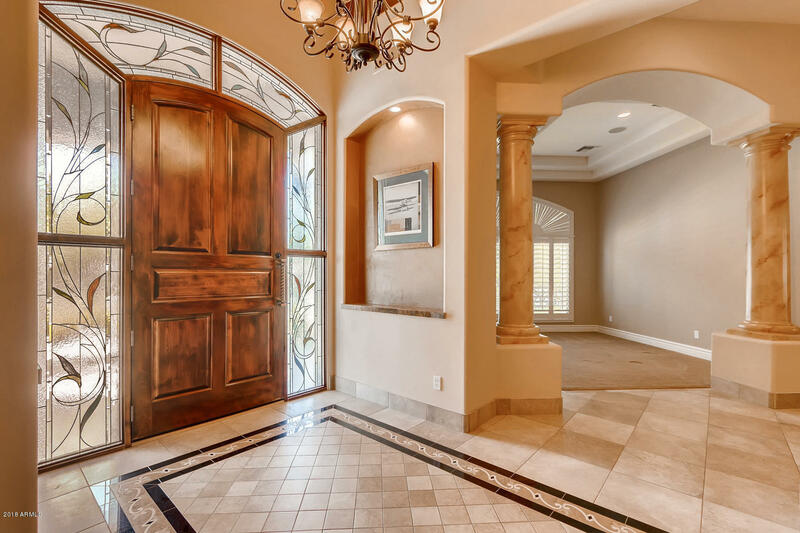 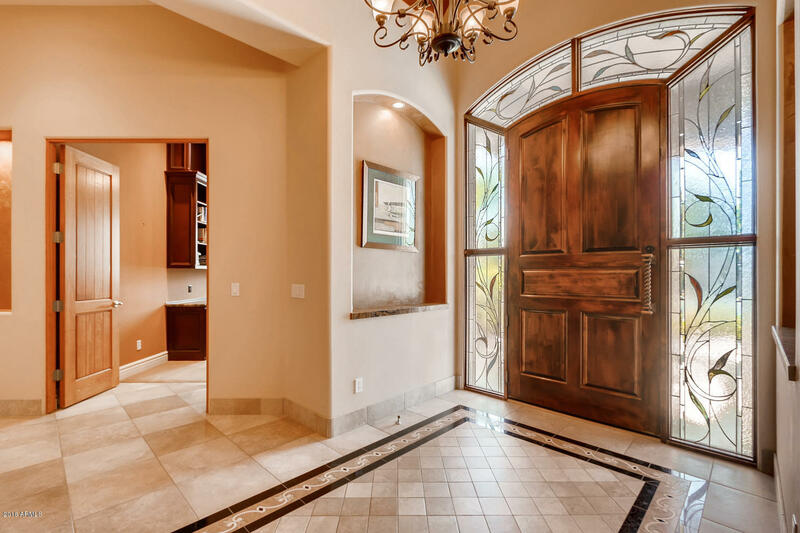 Gorgeous custom estate in Stellar Airpark, beautifully decorated and first time ever on the market! 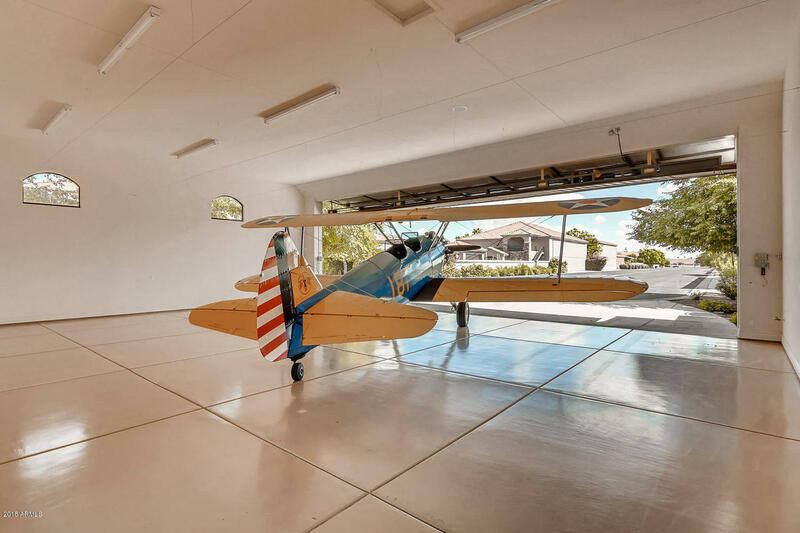 Fly to your new home and taxi to your personal hangar. 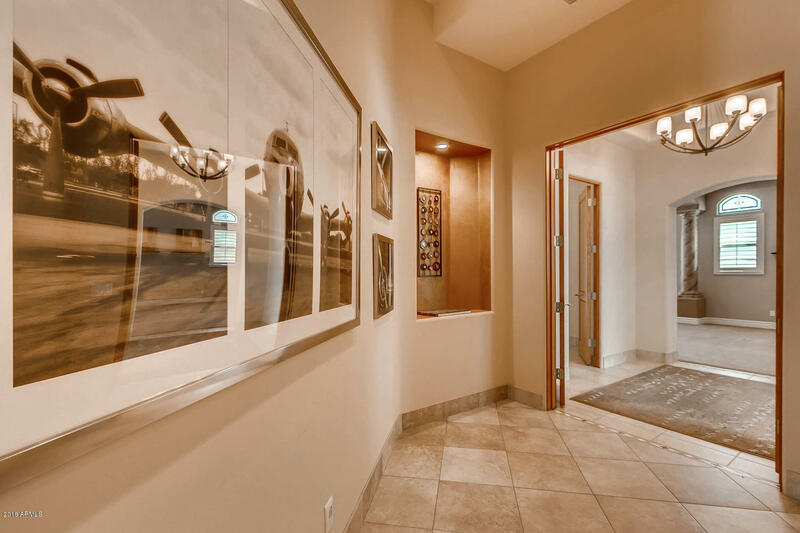 Close the Schweiss Door behind you and enter your home directly from the hangar! 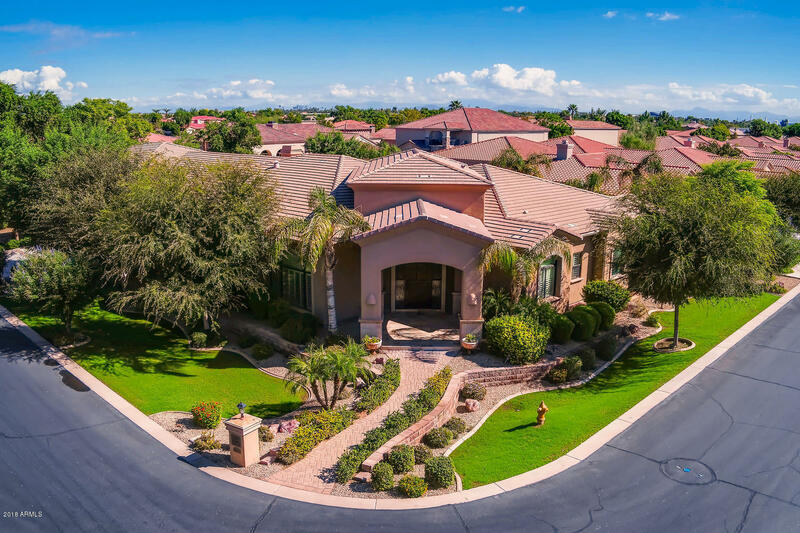 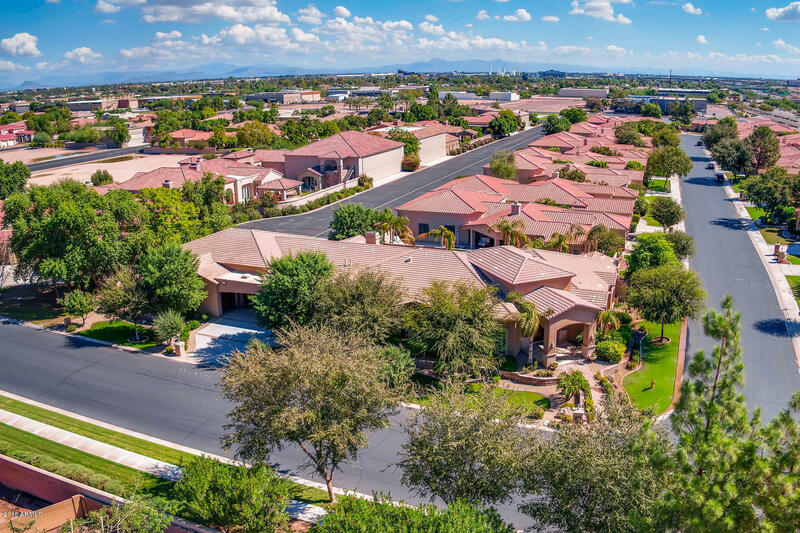 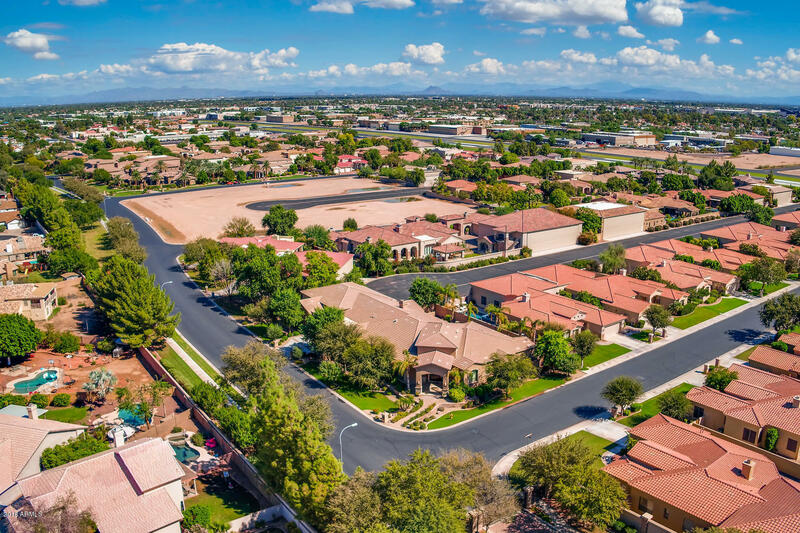 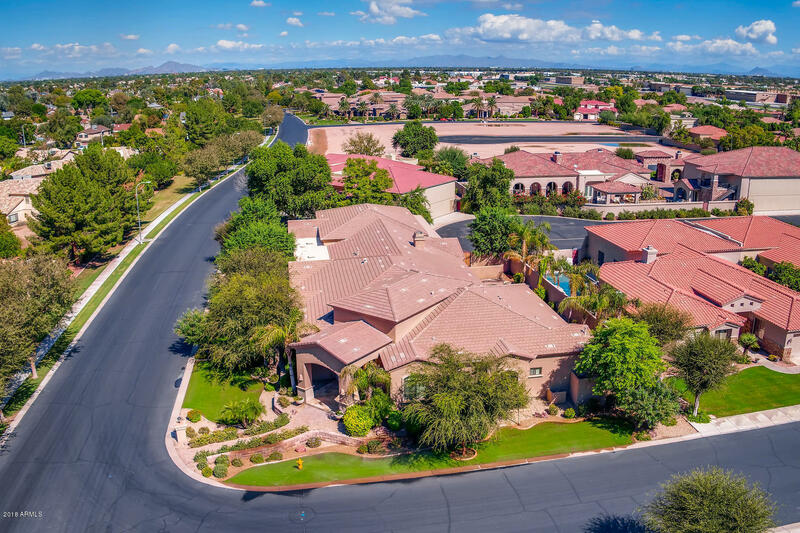 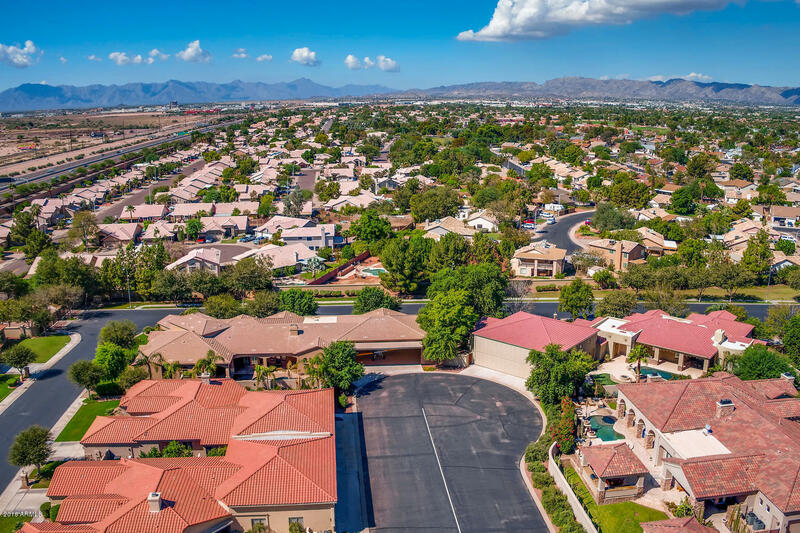 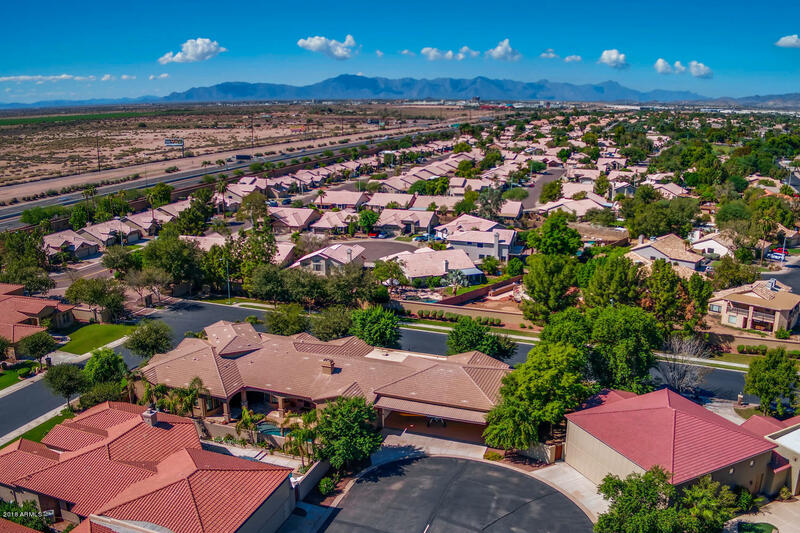 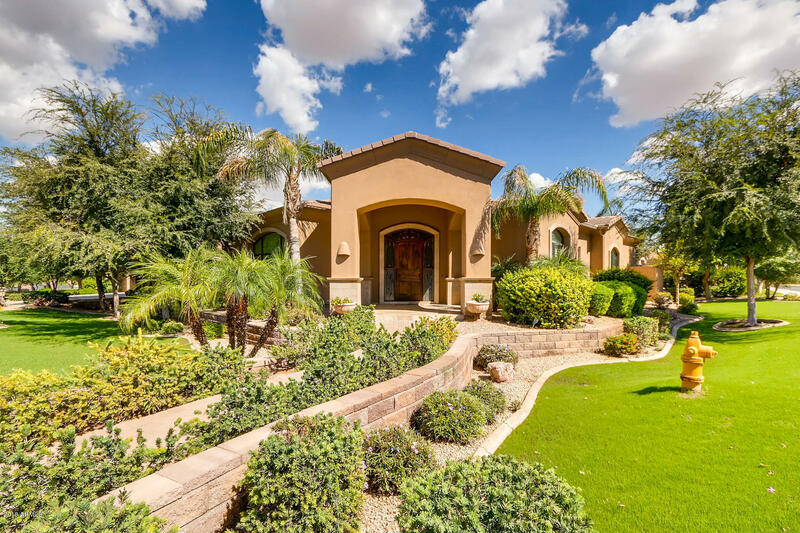 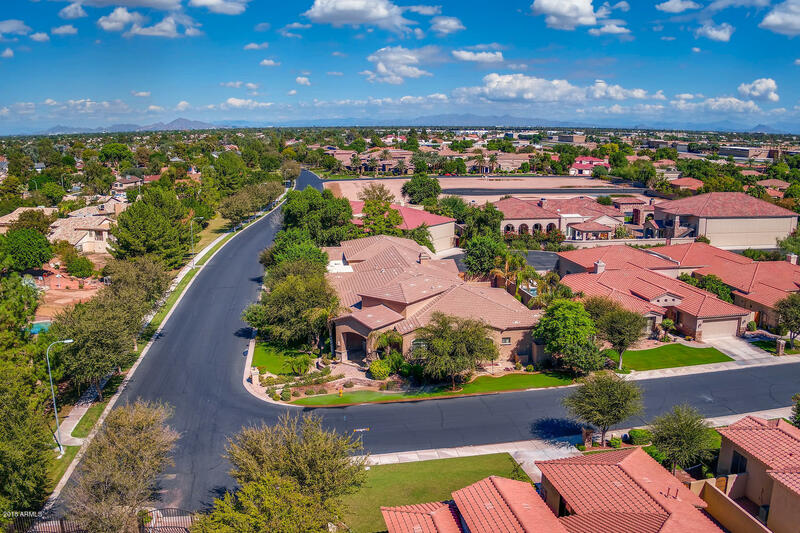 This lovely estate sits on a 22,000 square foot corner lot in the gated community for a perfect lock and leave (or lock and fly!) 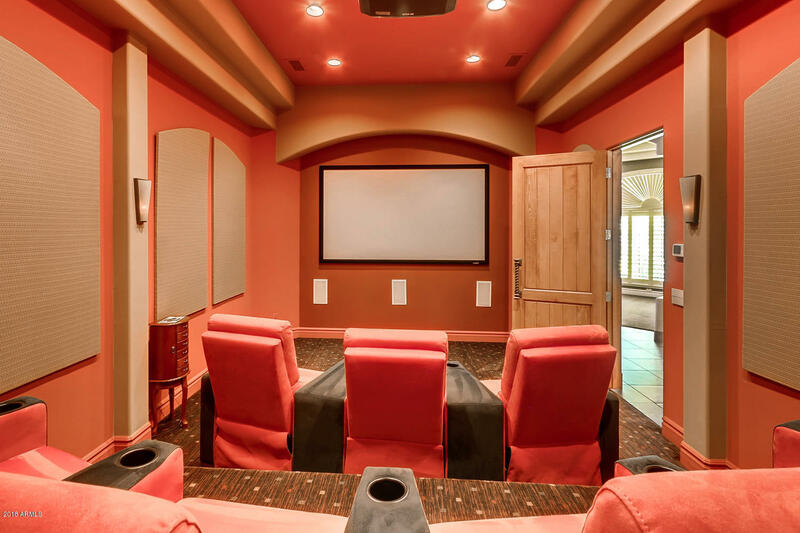 getaway. 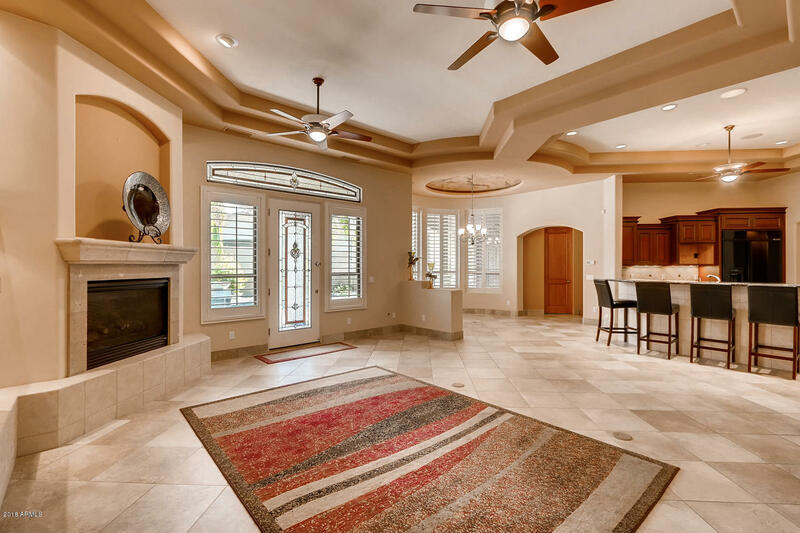 Here you'll find an aviator's dream home - 6,550 square feet, open concept floor plan perfect for entertaining, master suite with separate worout room, three ensuite bedrooms, two offices, 12 foot ceilings, plantation shutters, private backyard and pool, and a six-car garage plus private airplane hangar. 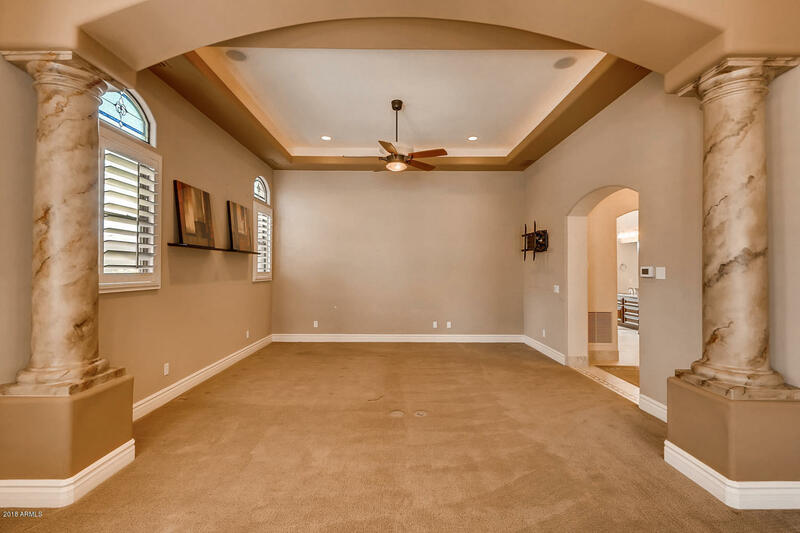 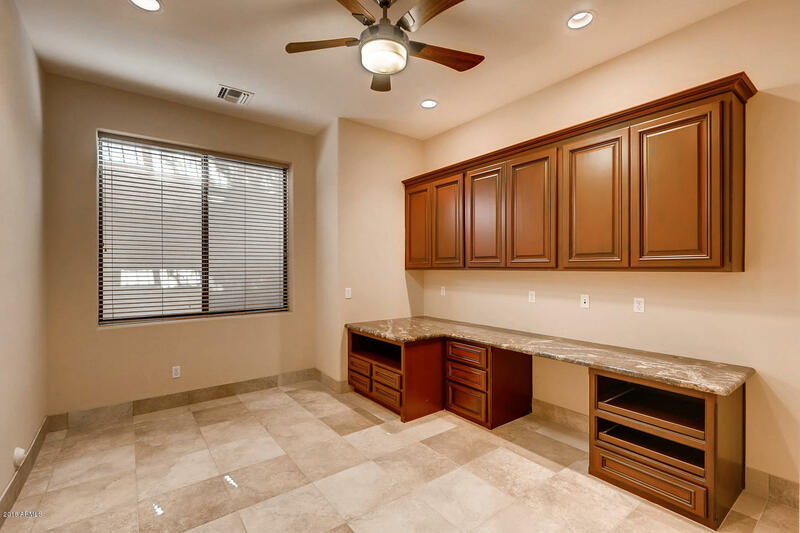 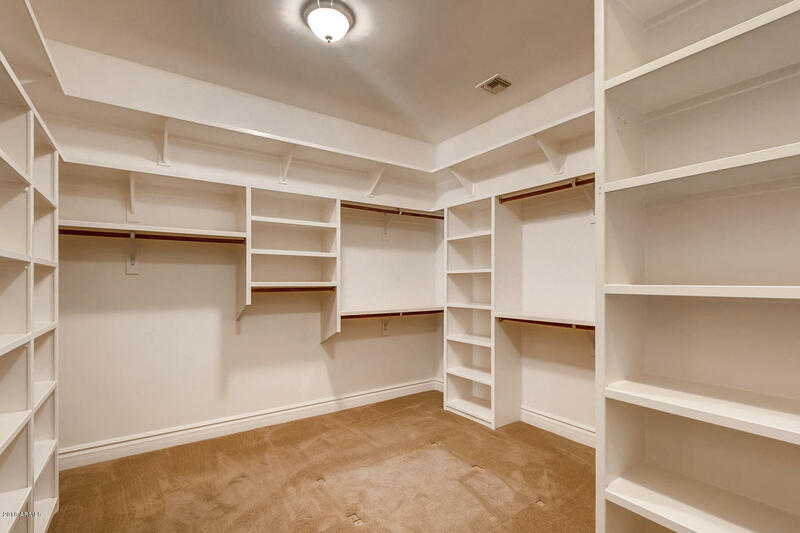 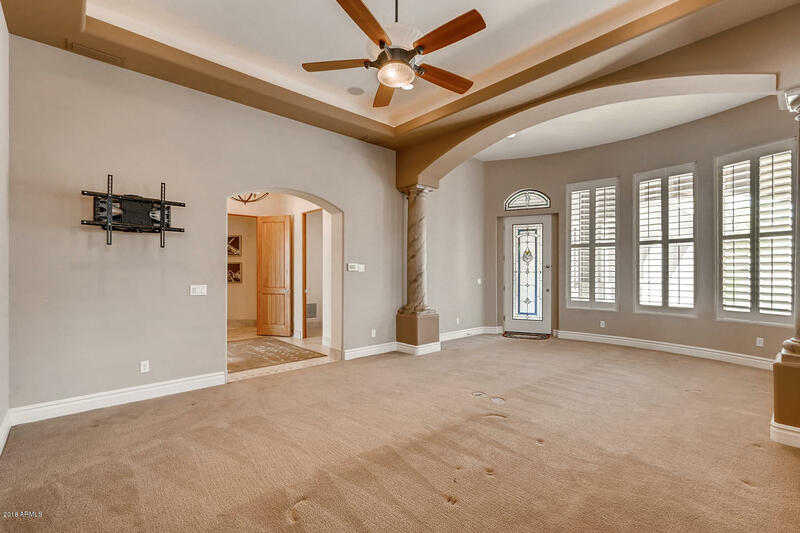 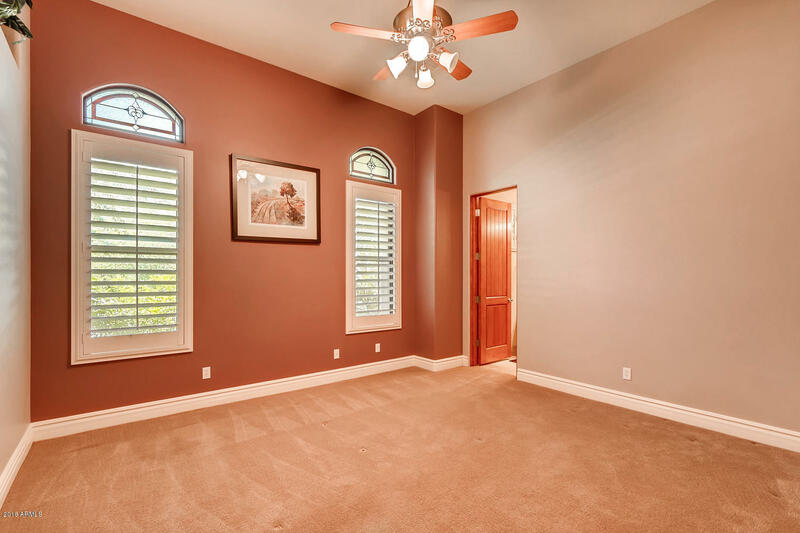 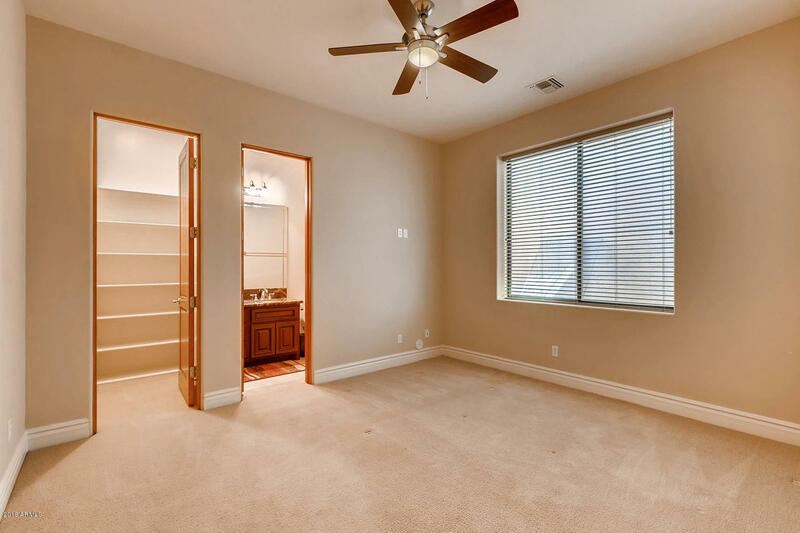 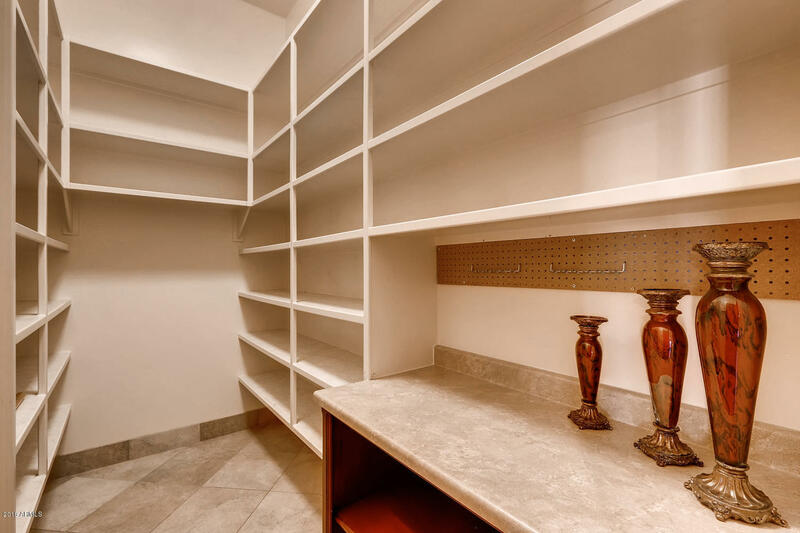 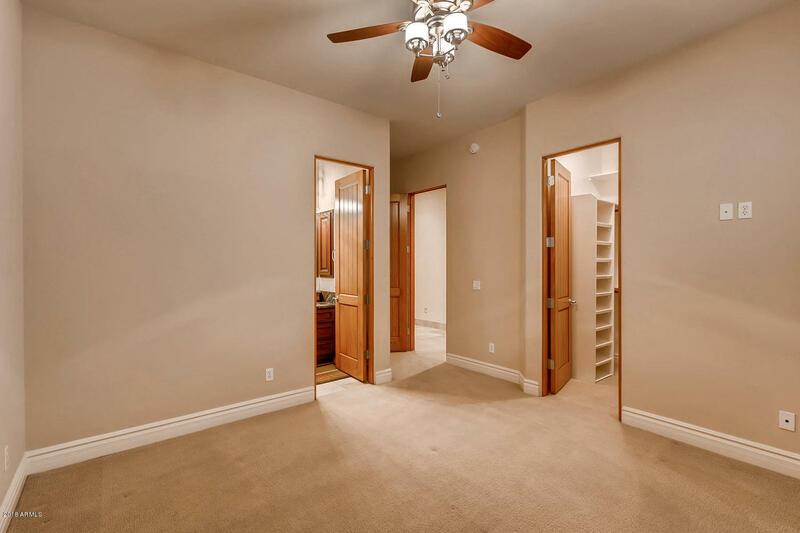 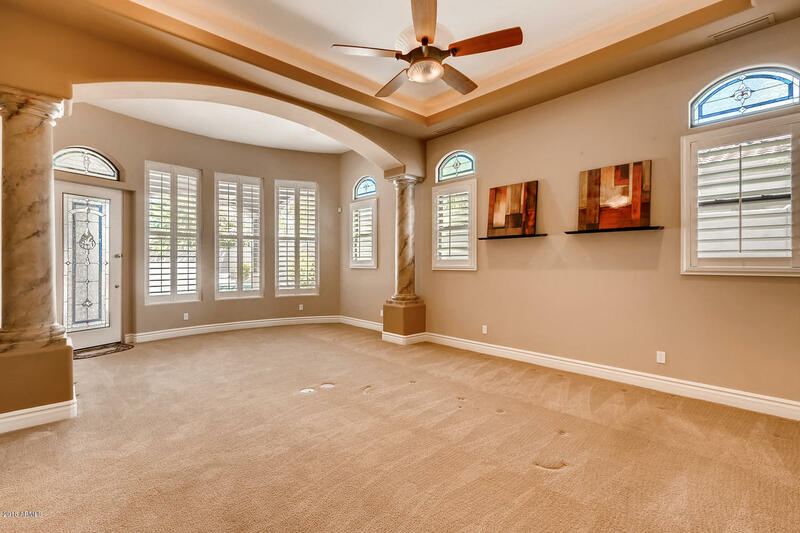 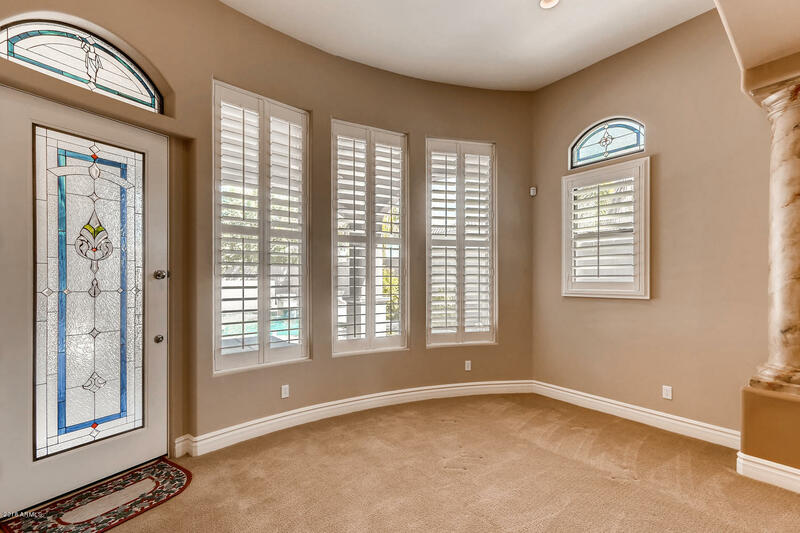 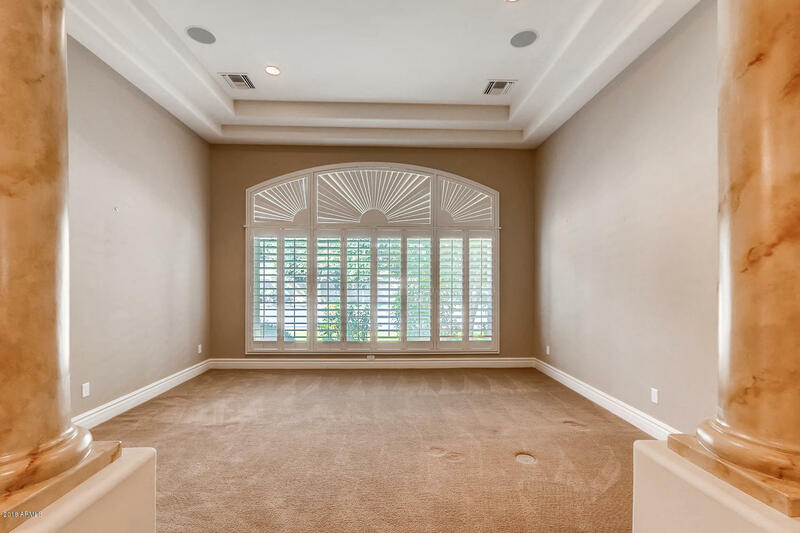 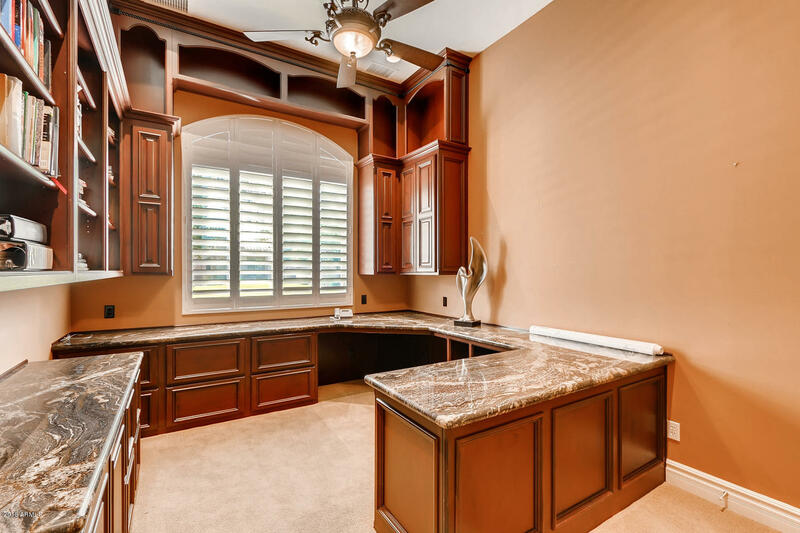 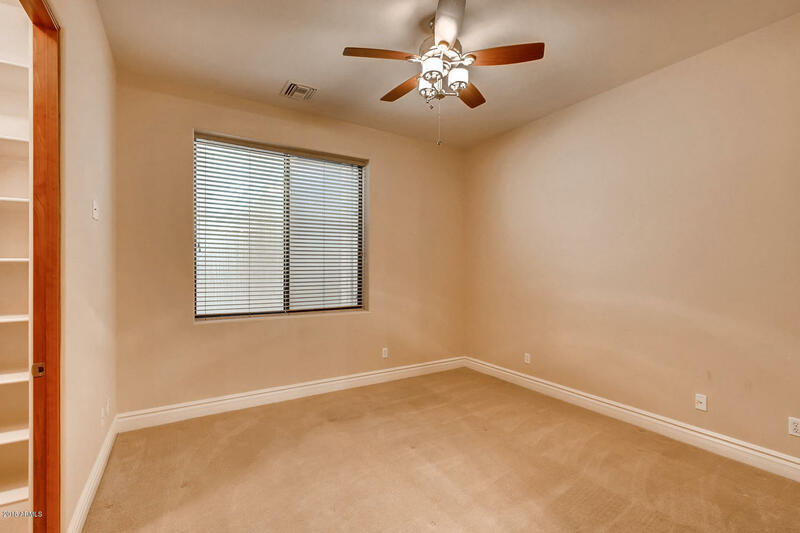 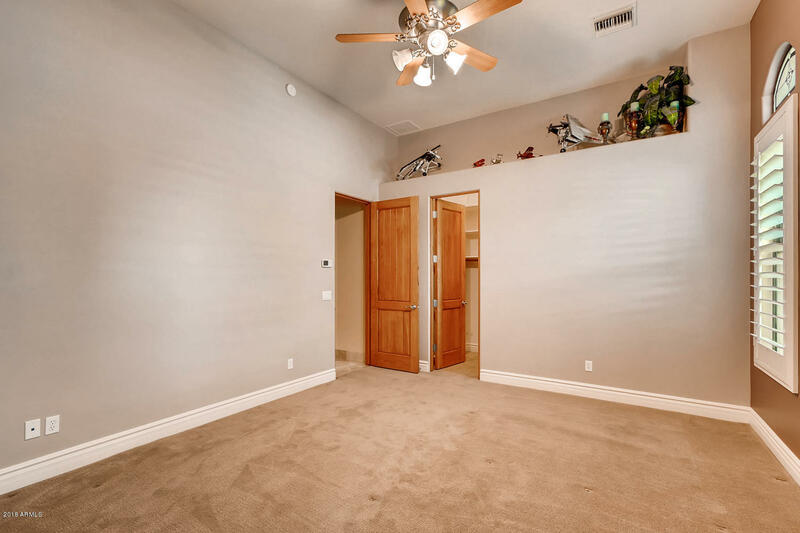 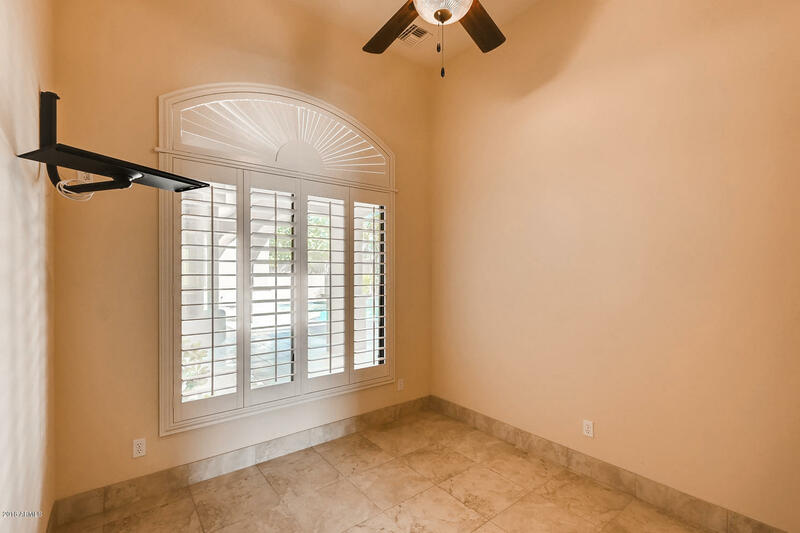 This home has room for toys, toys, and more toys! 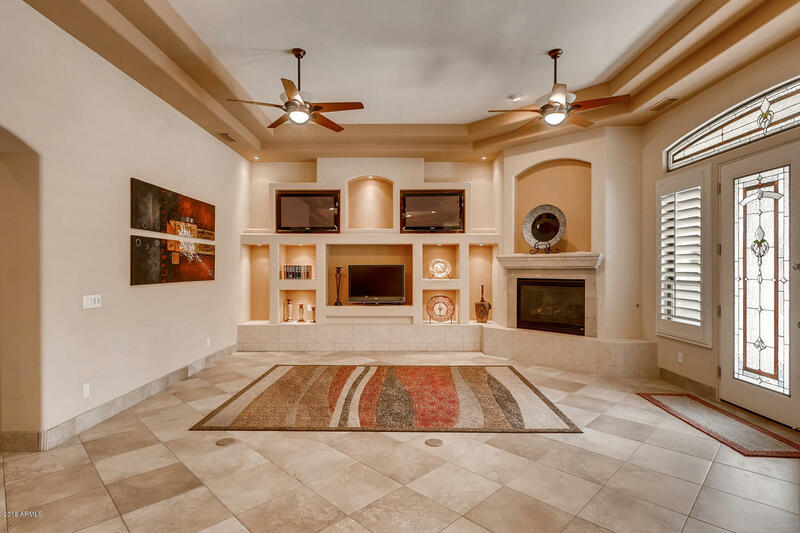 Planes, boats, RVs, hotrods, motorcycles and more! 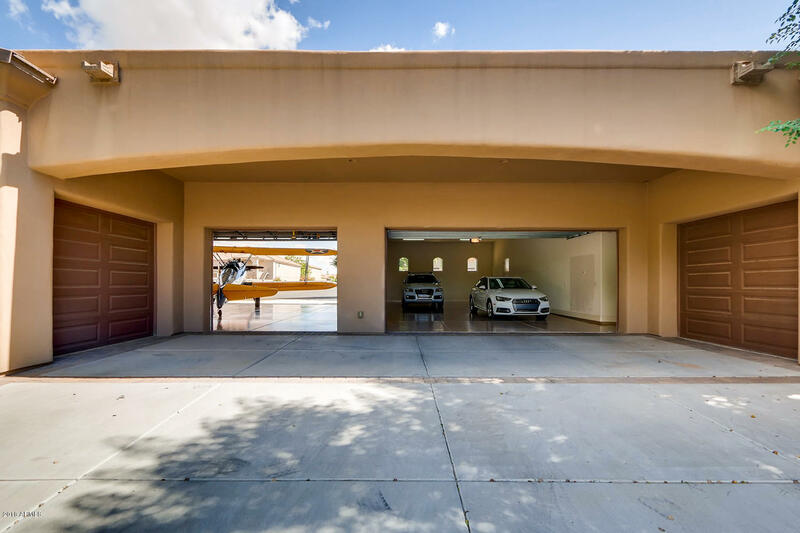 6+ car garages not including the hangar! 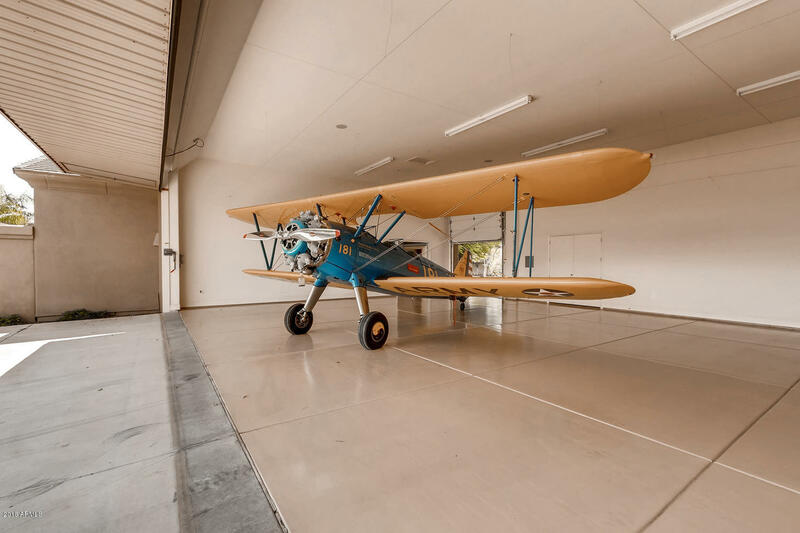 The hangar itself is 48' 4" x 37' 8" with 16' ceilings (the hangar door opening is 44' width and clear height of door is appx 13'6". 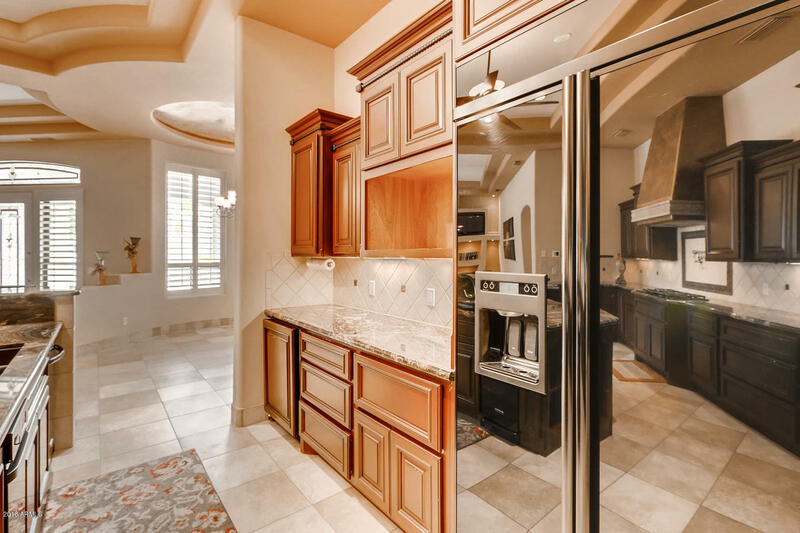 The kitchen is an entertainer's dream! 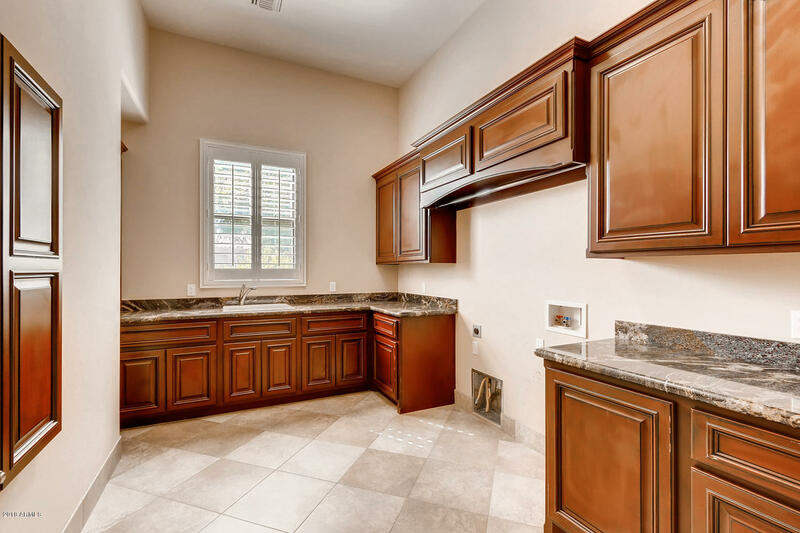 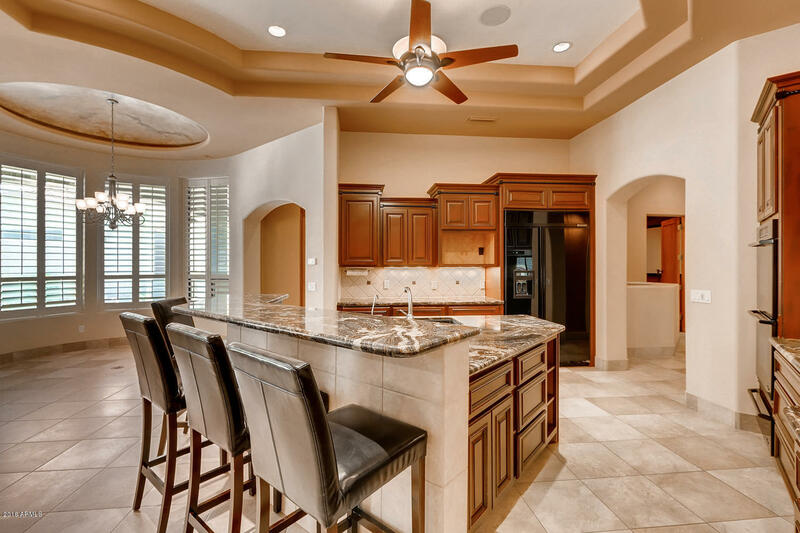 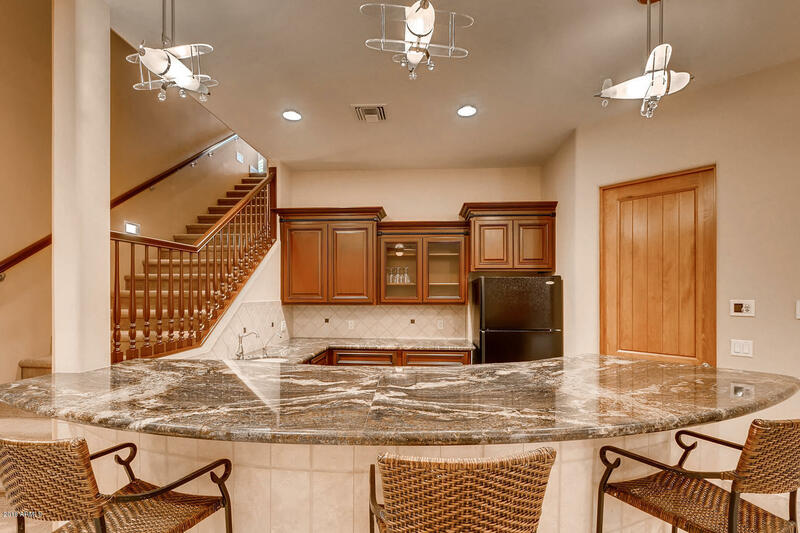 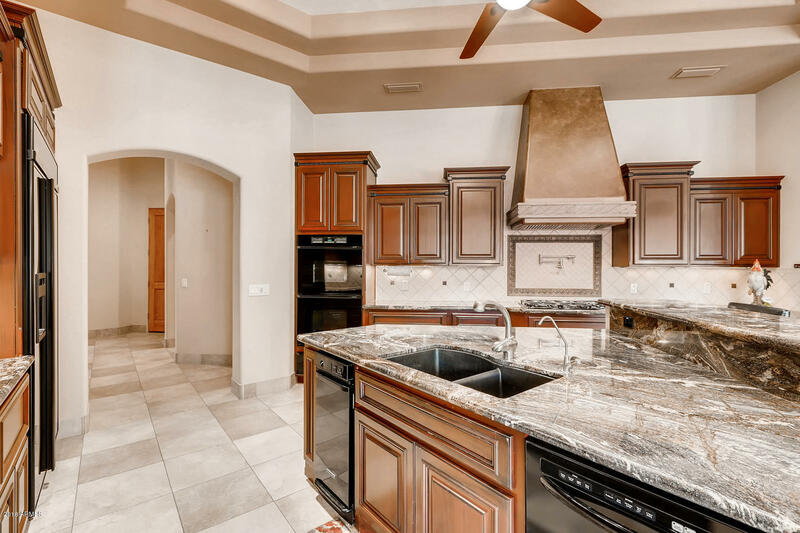 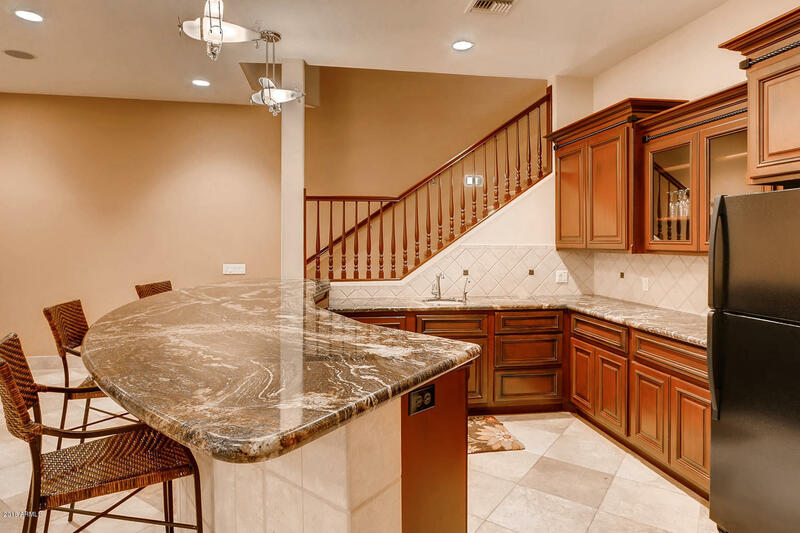 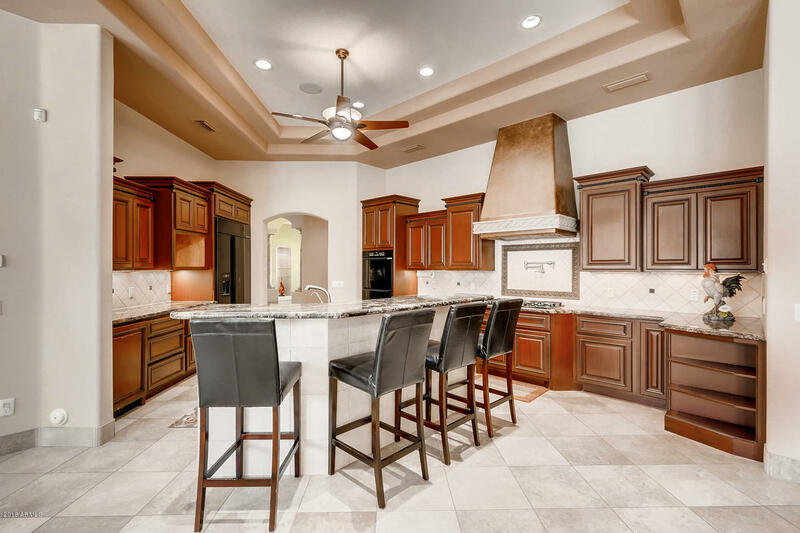 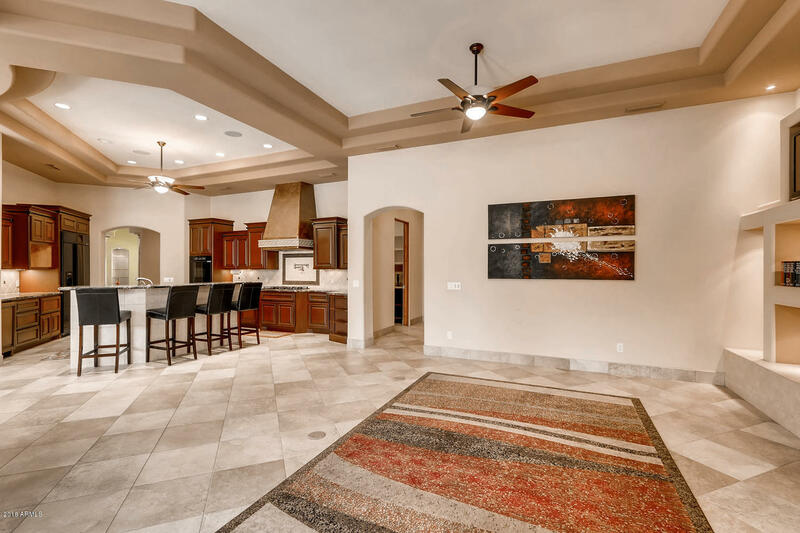 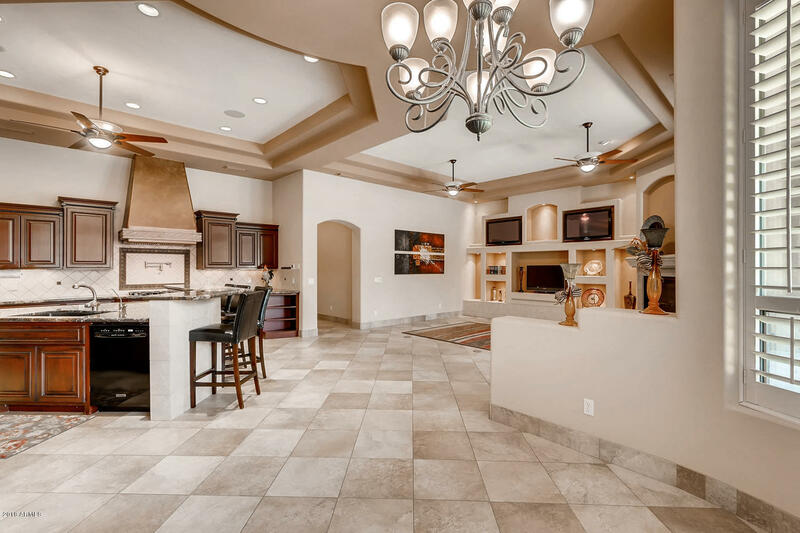 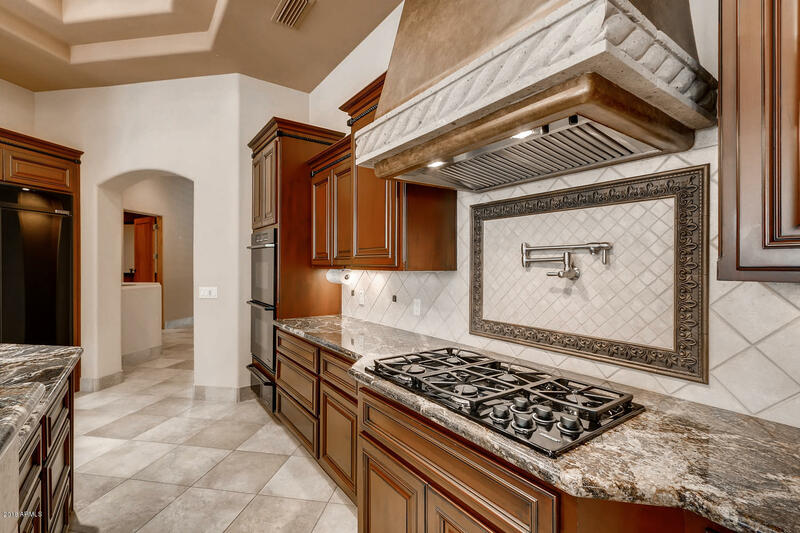 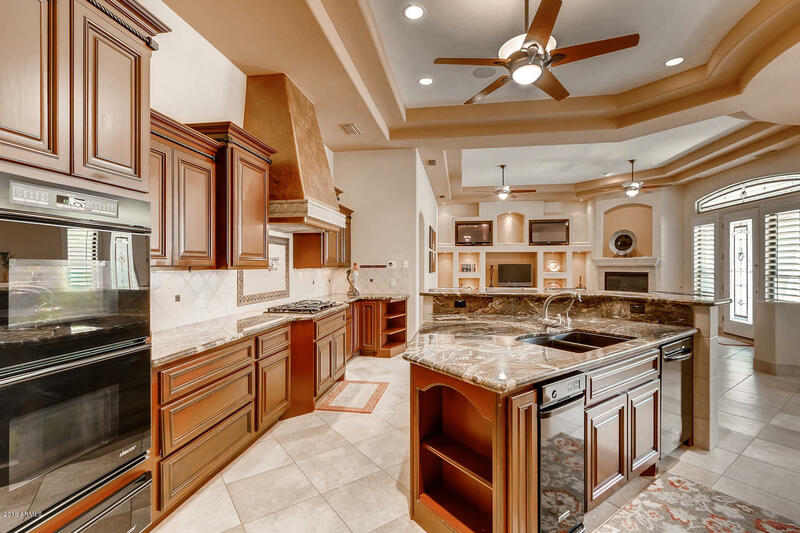 Chefs will love the granite countertops, large center island, cherry cabinetry, breakfast bar, 5-burner gas cooktop with pot filler, double ovens, warming drawer, built-in mini fridge and walk-in pantry. 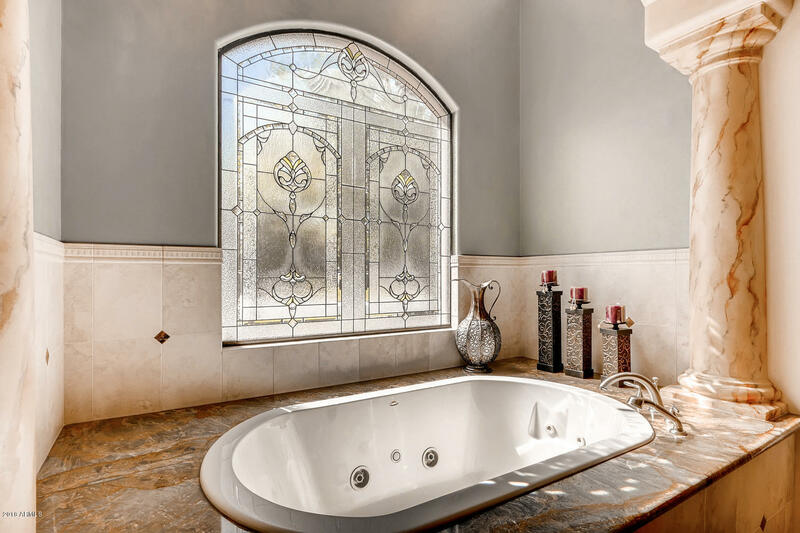 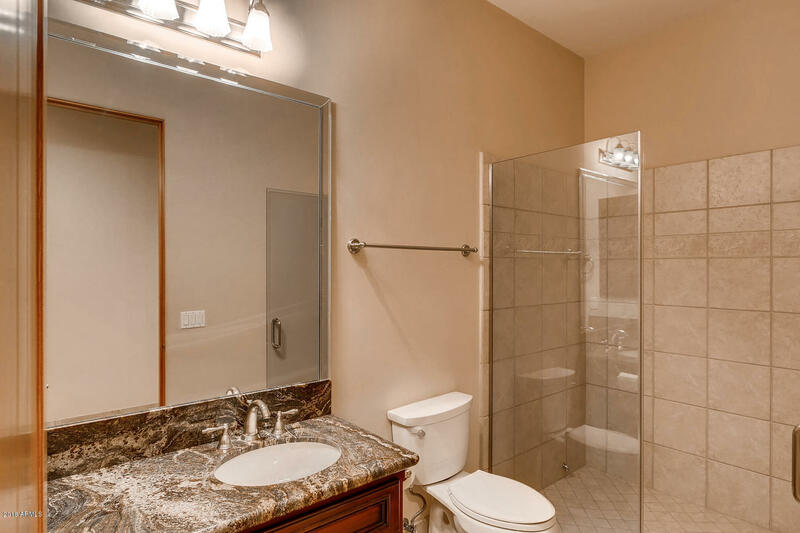 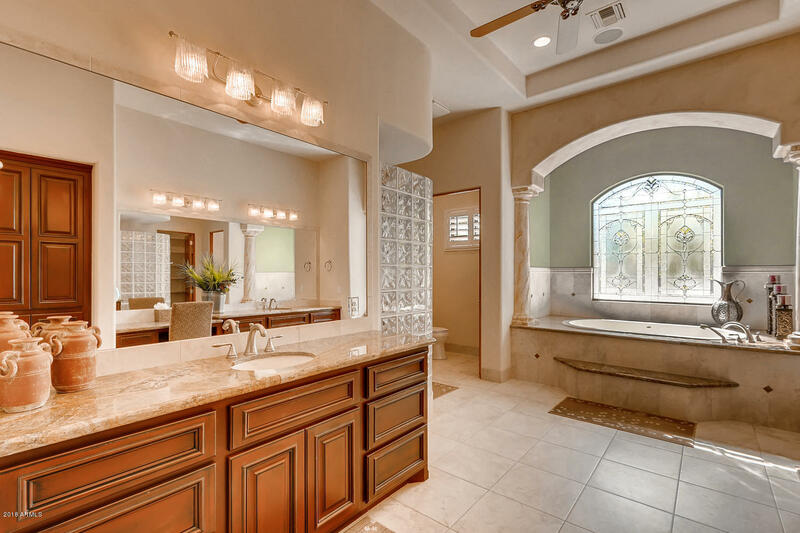 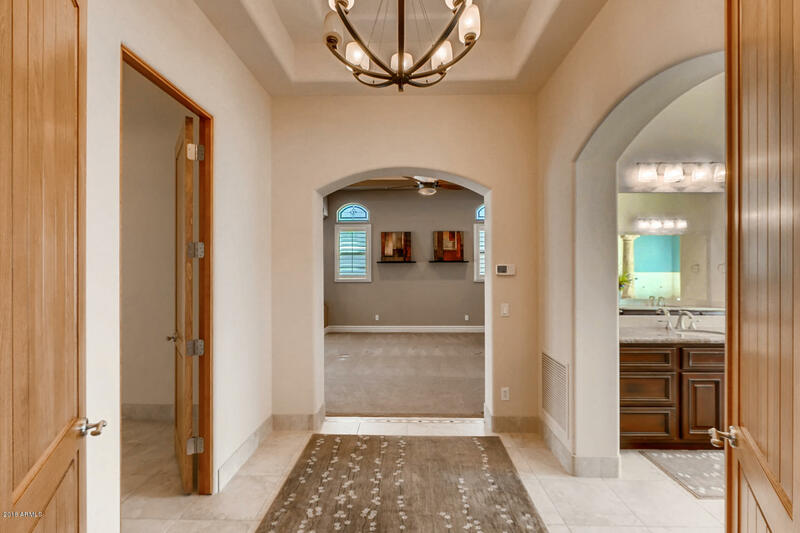 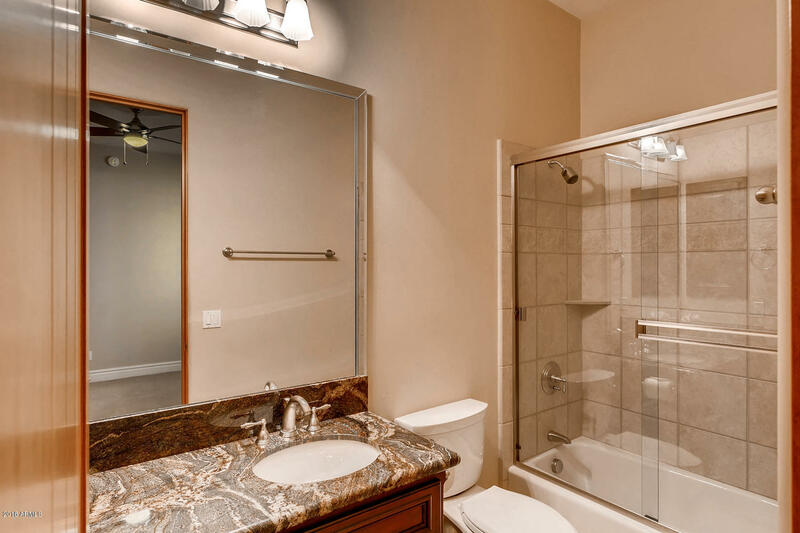 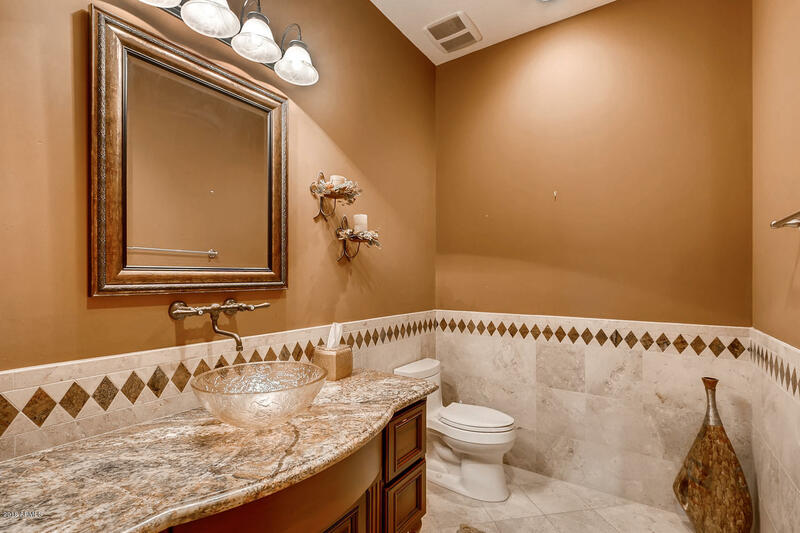 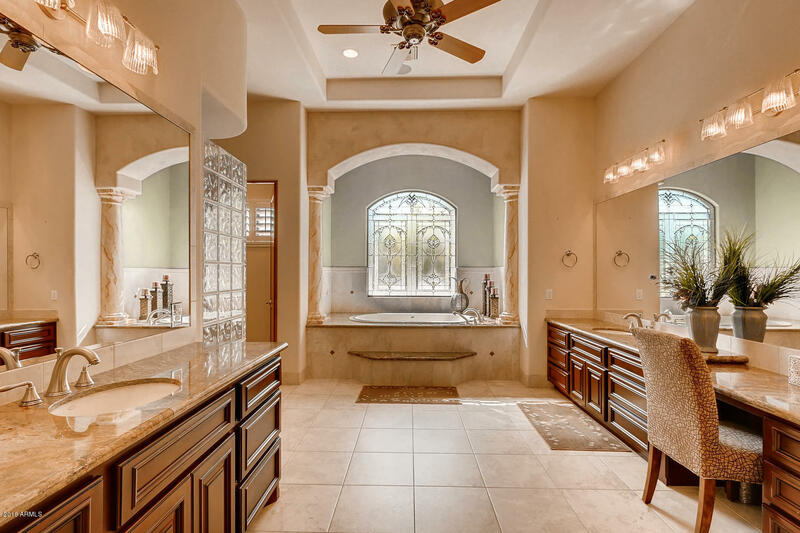 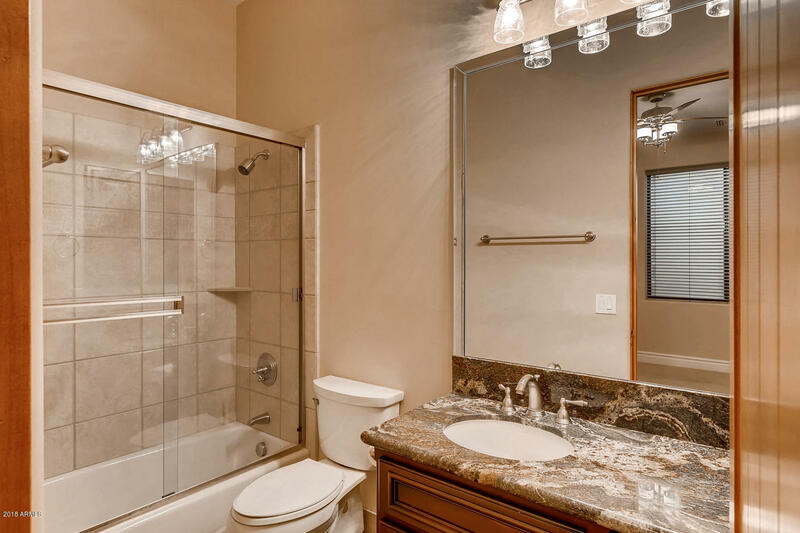 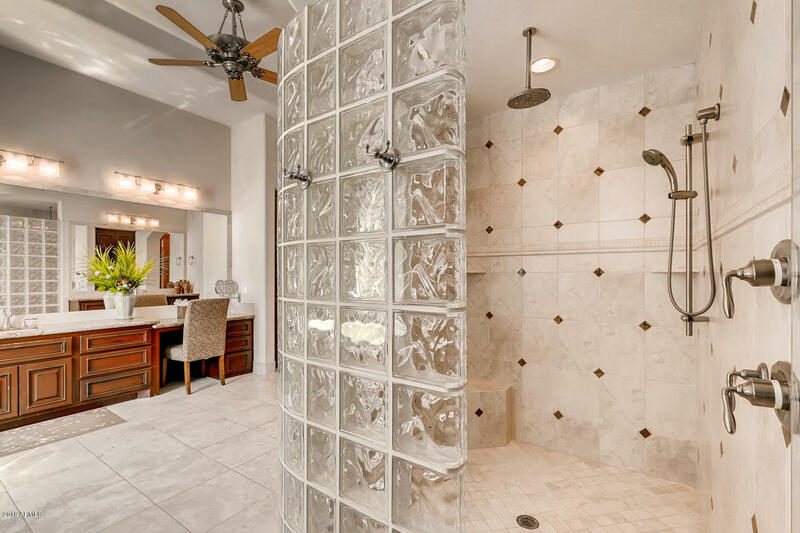 Master suite features a luxurious bathroom with soaking jetted tub, glass block shower with dual showerheads, a large walk-in closet, exercise room, and private patio exit. 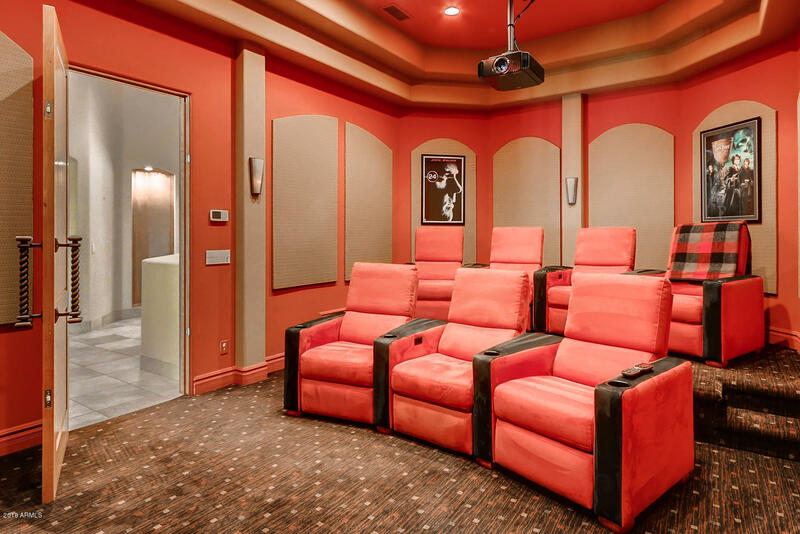 This unique home also has a red velvet theatre room with a JVC projector, recliners and sound-proofed walls for your movie viewing pleasure! 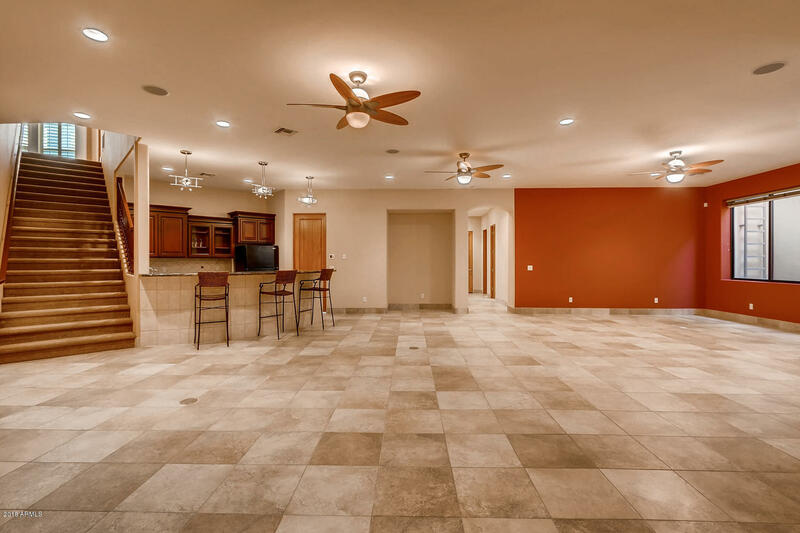 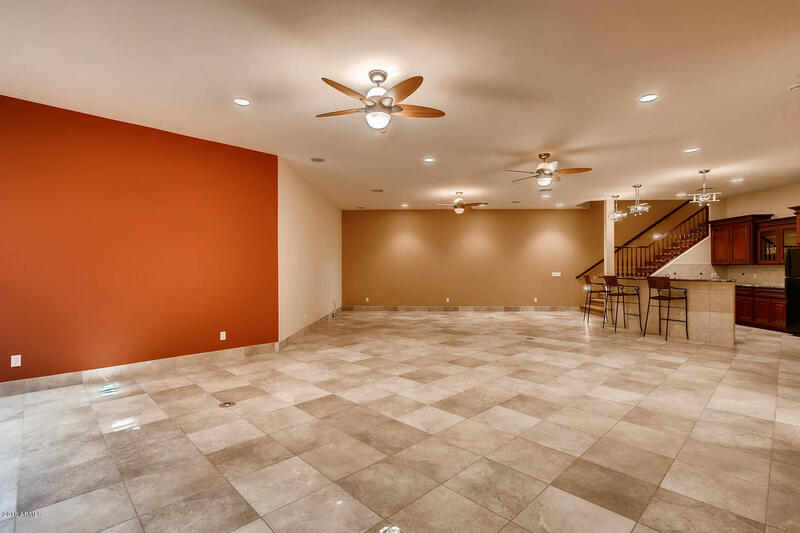 Downstairs in the basement you will find 10' ceilings and a full wet bar with fridge, biplane light fixtures, walk-in pantry/storage room and a huge living room and game room (30' x 19'). 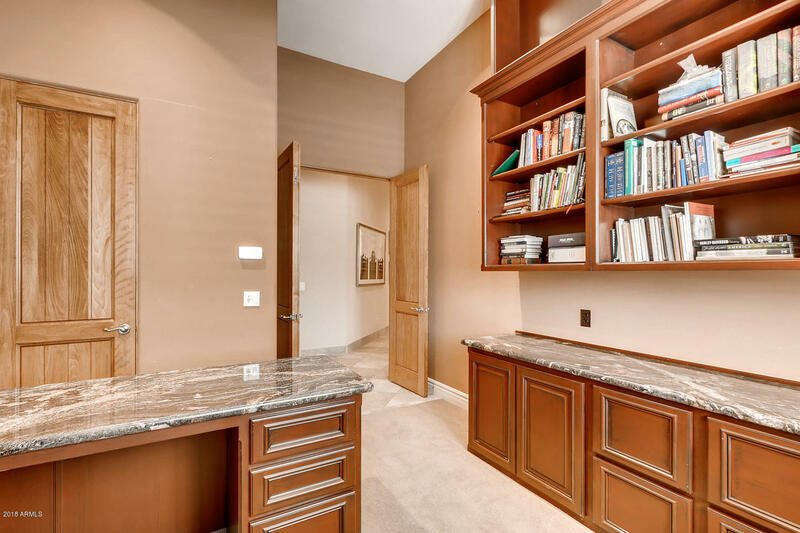 Downstairs there are two ensuite bedrooms with walk-in closets, an office with granite built-ins, and a full hall bath. 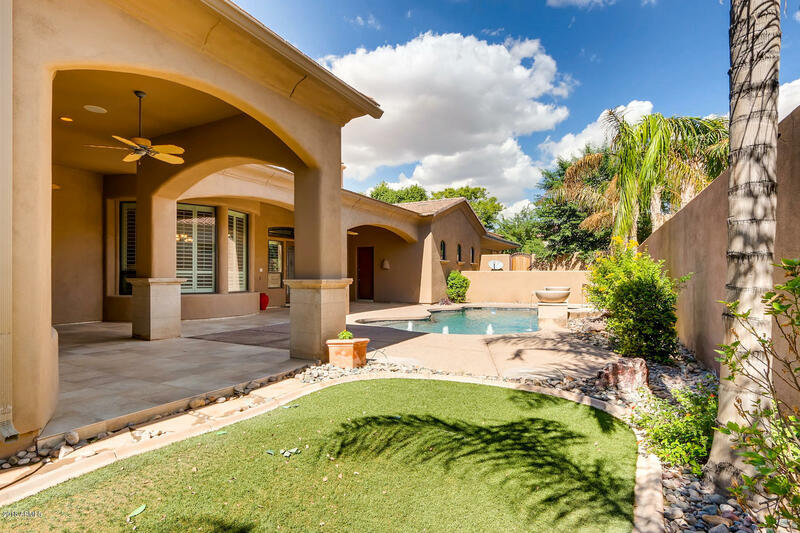 The private backyard has a heated pebble-finish pool with Baja shelf, bubbling water features, fountains, and UltraPure Auto Water Cleaner. 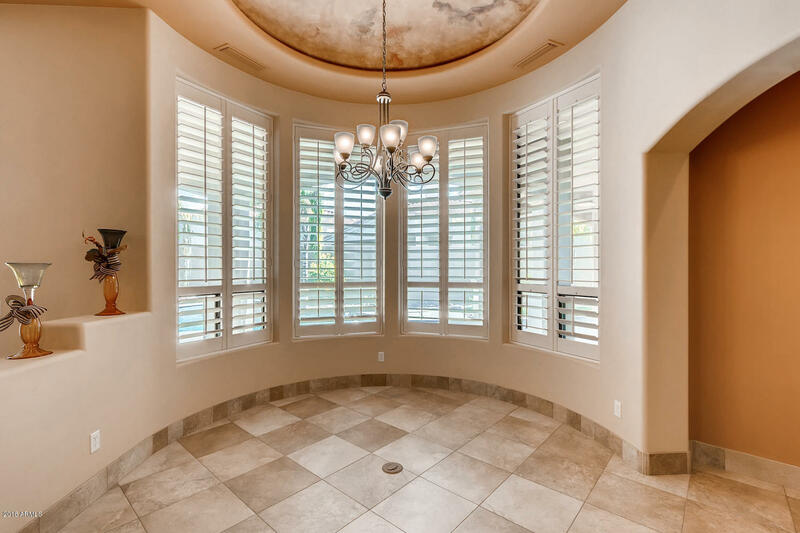 The large covered patio is perfect for outdoor living and enjoying our Arizona weather. 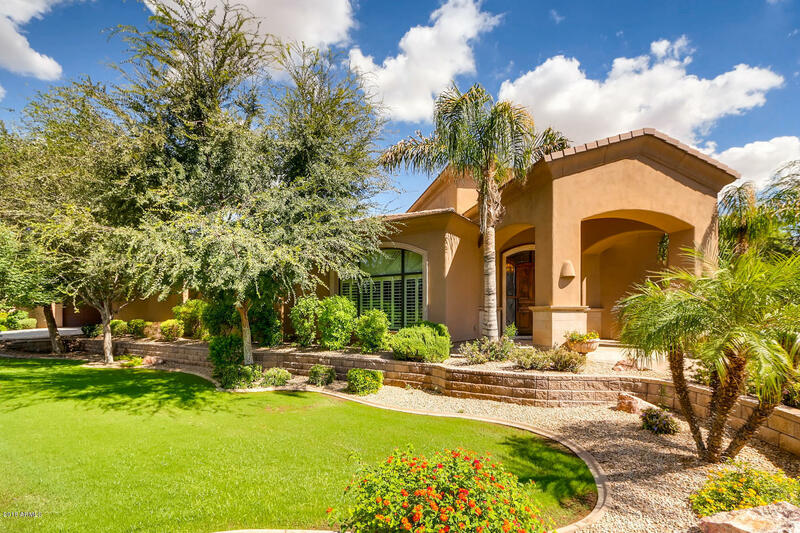 With an average of 297 days of sunshine a year, this home is the perfect spot to land. 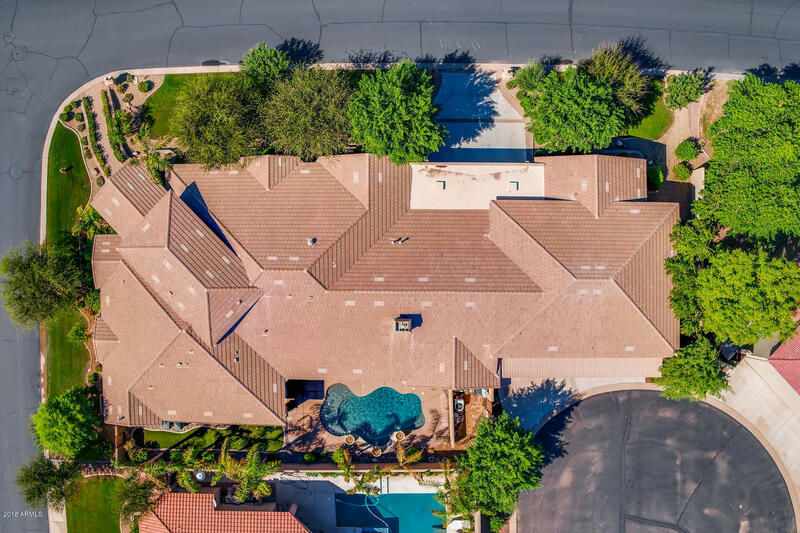 Fly in to see this home today!